Provide comfort for the family of Reverend Victor Lawson with a meaningful gesture of sympathy. Rev. 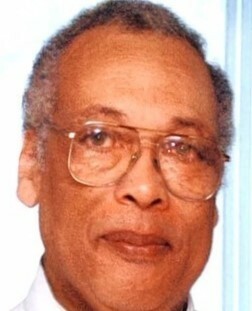 Victor F. Lawson, 76, passed away at 8:20 a.m. Saturday, March 30, 2019, at the Berkeley Medical Center in Martinsburg, West Virginia. Services will be held at 11 a.m. Friday, April 5, at Zion Episcopal Church, 301 East Congress St., Charles Town, WV 25414. Flowers are welcome. Memorial contributions may be sent to the University Healthcare Foundation, 2000 Foundation Way, Suite 2310, Martinsburg, WV 25401 or https://uhf.charityproud.org/donate.Episcopal Church, 301 East Congress St., Charles Town, WV 25414. To send flowers to the family of Reverend Victor F. Lawson, please visit our Heartfelt Sympathies Store. We encourage you to share any memorable photos or stories about Reverend Victor. All tributes placed on and purchased through this memorial website will remain on in perpetuity for generations. Dominique Lallement sent flowers to the family of Reverend Victor F. Lawson. I will never forget the compassion of Rev. Lawson. His heart was a true gift. And more, I learned about the love of God through Rev. Victor Lawson, and I was resistant. He knew it. Sometimes, I am still learning, and I often think of Rev. Lawson's words. He baptized my son many years ago, and I am so thankful for that one act and his words that day. You see, my son is special needs, and Rev. Lawson was the right man for the job. I believe the world who knew Rev. Lawson was blessed to have him. Heaven gained a wonderful man. Thank you, Rev. Lawson. Vic was a person who loved the people and we will miss him. Marge, Chris, Liz.